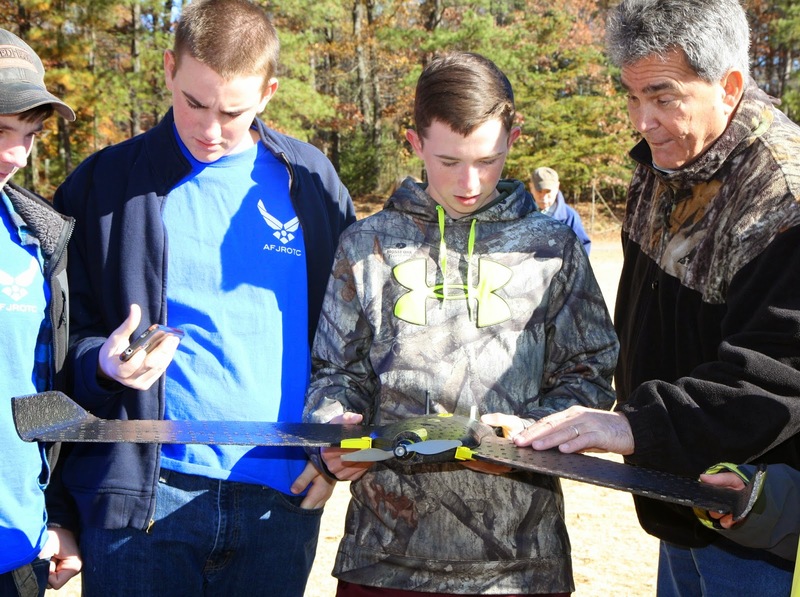 On a bitter fall day in November, twenty Deep Run High School Air Force ROTC students traveled to Reynolds Community College to examine and fly a Caron East GPS-surveying drone above campus grounds. Caron East is one of the biggest distributors of the type of drone that the students launched. The company is also known for mapping all types of geographic locations, from local colleges all the way to mapping the Swiss Alps. Wen Andrews, professor and program head for the Department of Architectural and Civil Engineering Technology at Reynolds, made this event possible by bringing together Caron East drone experts and the Deep Run High School students. As the students stepped off of the bus, the drone was placed on the athletic fields for its flight. As the students circled around, the functions and operation of the drone were discussed. A Caron East expert also explained how the drone route was pre-programmed. After the launch of the drone, the students watched it soar up into the sky making perfectly aligned trajectories above the field where they stood. After about 10 minutes of flying time, the drone circled around and flew back in for a landing on the grass. The students gathered nearby for a quick recap before heading into a classroom. As the students filed into the computer-filled classroom, Wen Andrews and the drone expert brought up special software that showed the trajectory that the drone took, as well as the photos the drone procured throughout its mission. The students discussed different aspects of the software as well as safety tips, planned vs. actual inflight information, and general use of the software program. Overall, the effect of this event on the students was immense. Senior Master Sergeant Mark Granger, Deep Run High School Air Force ROTC instructor, spoke about the benefit of this opportunity. “The drone event was a huge success for our students. We use this technology in the Air Force for several different applications, however the information about agriculture use was interesting. We have implemented that application into the new lesson plan for our cadets. They were excited about the technology and agility of the drone, as was I,” stated S.M. Sergeant Granger. Instead of just sitting in a classroom hearing about drones and GPS technology this event gave the high school students a chance to visit a college campus, actually watch a drone at work, and then go into a classroom and see the data captured by the drone. “This event also allowed us to introduce the students to J. Sargeant Reynolds and show them that this is also a great step to where they may want to get to in life,” stated S.M. Sergeant Granger as the drone flew it’s path overhead. By mid-November the days are shorter, the weather cooler, and the holidays are just around the corner. Home for the holidays is a common theme this time of year. But, what if you were a child or teenager in foster care without a permanent home and family? Suddenly the holidays don’t seem so warm and inviting. Did you know that there are more than 800 children available for adoption in Virginia’s foster care system? November is National Adoption Month. 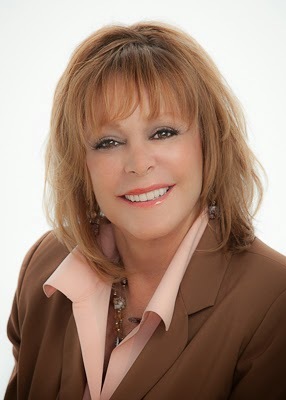 Debbie Johnston, Founder and President of Care Advantage, Inc., a home health care company, was recently named Virginia’s Adoption Champion by Governor Terry McAuliffe and she is passionate about helping children find families. Johnston was adopted by a loving Virginia family at the age of 3 and she credits her success to the strong foundation that her family provided. “This initiative is extremely close to my heart, and I will work tirelessly in my new position as Adoption Champion to find homes for our Commonwealth’s exceptional foster children,” said Johnston upon accepting her new role. As Virginia’s Adoption Champion she hopes to be a voice for foster care children, work to raise awareness about adoption, and help raise funds for programs that assist foster children. One such program, Great Expectations, is offered at Reynolds. Johnston noted, “Great Expectations is such a great program! It really fills a need for the older kids in foster care.” The Great Expectations Program works with youth, aged 17 to 24 who are or have been in foster care, to complete high school, gain access to a community college education and transition successfully from the foster care system to living independently. Without social or family support, foster care children experience significant challenges living on their own, but with access to education foster care youth can find satisfying, well-paying jobs. Sophia Booker and her twin sister Bridgette entered foster care at the age of 7 after being removed from an abusive home. After living in multiple foster homes, the twins were adopted at the age of 14 by their then foster mother. Sophia, currently a Great Expectations student at Reynolds, credits her GE coach Dedra Hampton with keeping her on track in pursuit of her education. She plans to transfer to Virginia Commonwealth University next fall and pursue a degree in social work, and although she will be leaving Reynolds and moving on to VCU, she knows that her Great Expectations coach will continue to play a big role in her life. Booker’s long-term goal for her career is to give back and help other foster care youth – particularly the older foster youth who need help with education and independent living skills. In fact, she is already giving back - by working at Project LIFE as its Youth Network Coordinator. Project LIFE (Living Independently, Focusing on Empowerment) is a partnership with the Virginia Department of Social Services and United Methodist Family Services whose mission is to enhance the successful transition of older foster youth to adulthood. Let’s hope that by next year when we approach the holiday season most of the 800 children waiting for a permanent home in Virginia will truly be “home” for the holidays. For more information on National Adoption Month please visit http://www.vaservice.org/go/news/november_is_national_adoption_month/. Over 100 people recently filled the Lipman Auditorium of the Massey Library and Technology Center on the Parham Road Campus as Reynolds hosted local author and war veteran Kevin Powers at an "Around the World Through Books" discussion. The event featured Powers' novel "The Yellow Birds", which focused on 21 year-old Private Bartle and 18 year-old Private Murphy clinging to life as their platoon launched a bloody battle for a city during the Iraq war. Through his book and during the book discussion, Powers examined the reactions of soldiers and his own life after military deployments. The program was a free community event sponsored by Reynolds’s Multicultural Enrichment Council for the purpose of encouraging cultural diversity throughout the Reynolds campuses and communities.